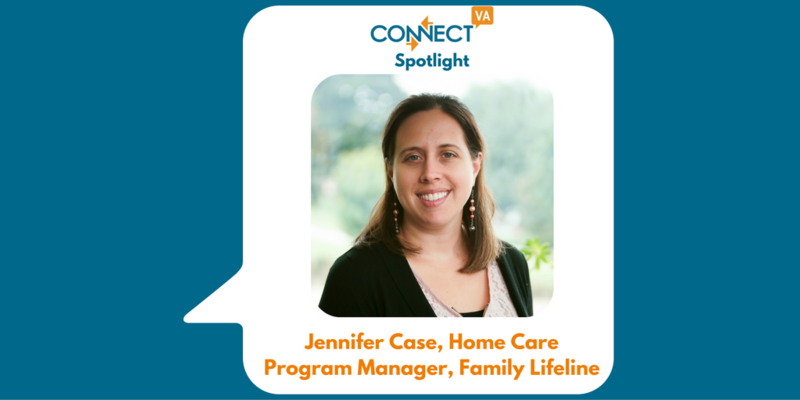 I am Jennifer Case, MA/MSW – Home Care Program Manager at Family Lifeline. After working for over eight years with Family Lifeline’s Early Childhood Programs, I have become a newly inspired advocate for older adults and people with disabilities. We bring health and hope into the home! 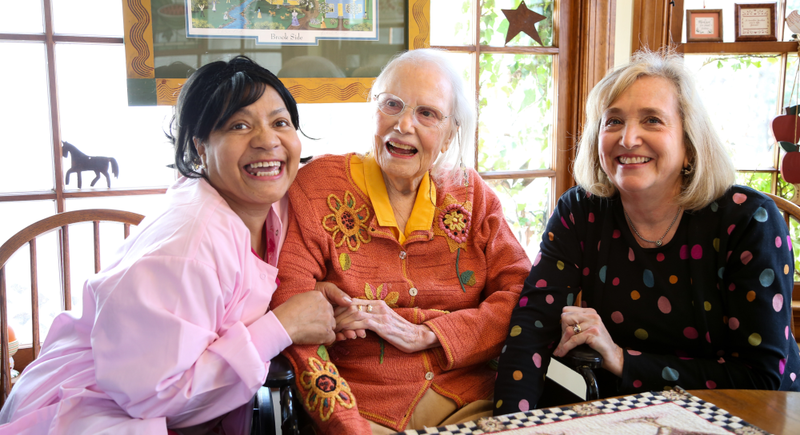 Together with a team of professional care providers and nursing staff – we provide support to family caregivers as well as quality hands on care for older adults and people with disabilities – so they can remain independent and safely in their own homes for as long as possible. Making a connection with family caregivers is the most rewarding part of the job. Many caregivers are under constant stress, and I am grateful to partner with them in caring for their loved ones and help provide much needed support in their caregiving journeys. Perhaps our biggest challenge is finding funding to support this much needed care. Often, navigating and accessing both public and private resources is a huge task. We are also challenged with helping families navigate the complicated healthcare system. Many of our recipients of care are Medicaid recipients and face even more challenges navigating the resources available. As a private non-profit home care agency, Family Lifeline is fortunate that we have been able to raise funds to support a social work position to help families in this way and to support their loved one’s wish to age in place in their own home. Family Lifeline’s Home Care Program works to promote health and wellness of individuals in the comfort and safety of their own home by providing supportive services that delay the need for costly institutional care, prevent illness and injury, and relieve the stresses placed on caregivers. For 140 years, Family Lifeline has worked diligently to provide intensive home and community based services to individuals and families. Often known for our work with our Early Childhood Programs, the last year has brought an exciting change in our overall strategic plan to expand and enhance Older Adult Programing through our Home Care and Visiting Volunteer Programs. We are working hard to create both public and private partnerships that will allow us to continue to serve our current recipients, as well as serve more recipients of care and their family caregivers. ConnectVA is a valuable resource which helps us stay engaged with our non-profit partners and keep up to date on what’s happening in the Greater Richmond Area. It is a valuable tool to find the most qualified professionals who are aligned with our mission and values. Finally, ConnectVA connects us with our community – to volunteers, students, to funding resources, professional development opportunities, as well as other valuable resources for our agency and those we serve. I take the work I do in our Home Care Program personally. As parent of a child with a disability, I can relate to the worry, stress and burdens that our family caregivers face. I can also relate to the love they feel for their family member and how providing such care is an honor as well. It’s a joy when we provide respite, connect families with resources, or just offer a listening ear to both our caregivers and recipients of care in a time of need.